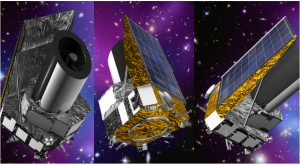 On September 5th and 6th 2016, PRODEX is organising an event for the “PRODEX 30th anniversary” at the ESA’s Space Research and Technology Centre, ESTEC, in Noordwijk, The Netherlands. Created in June 1986, PRODEX (PROgramme de Développement d’Expériences scientifiques) offers institutions and industry the chance to work on ESA experiments. The programme works to help countries to get returns on their investments, and to promote scientific and industrial excellence and competitiveness. The PRODEX Programme is an open programme. ESA Member States, as well as non-Member States, can become participating states. Romania became the 16th full ESA member state in 2011, and joined the PRODEX Programme in 2012. The PRODEX Participating States are 12 in total, reprezentated by Switzerland, Ireland, Belgium, Norway, Austria, Denmark, Hungary, Czech Republic, Greece, Romania, Netherlands, Poland. 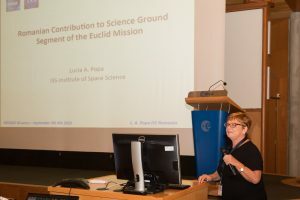 In the presence of the PRODEX team and delegates from participating countries, Dr. Lucia Popa, seniour researcher at the Institute of Space Science (ISS), is invited to give a talk on the PRODEX project “Romanian Contribution to the Science Ground Segment of the Euclid Mission”. The detailed program of the event can be found here. ISS signed a PRODEX Institute Agreement in September 2015, which enhance the project contributions in the field of space science to the PRODEX Programme.